BlueCat’s API enables automation and promotes integration with other network systems, allowing our DNS tools to exchange data with other enterprise elements. Our API set allows access to the BlueCat portfolio of tools and integrates them with infrastructure solutions from leading commercial vendors. They’re like Lego bricks—put them together to create something great! And now, with the release of BlueCat’s newly updated Gateway feature, there is an easy platform for building and compiling these automation building blocks. Gateway gives power users and admins a platform for taking complex, resource-intensive, automated tasks and building cleaner and lighter implementations while enabling a simple, self-service focused environment. APIs can be bundled together into a sophisticated service layer rather than requiring scripting or application development to make separate API calls. Organizations are increasingly automating the delivery of cloud compute services. Gateway provides a single platform to directly consume business-specific APIs that completely encapsulate third-party vendor or BlueCat-specific implementation details, allowing them to perform these functions. Your business logic lives within Gateway, so, if something changes—such as how networks are allocated—IT staff can merely change the workflow in Gateway and everything in the cloud will update accordingly. This is especially valuable for multi-cloud solutions across different vendors: Rather than having to make changes with every vendor, you can make the change once and it will implement across all cloud platforms. Two-way name resolution between cloud and on-premises environments is a challenge. 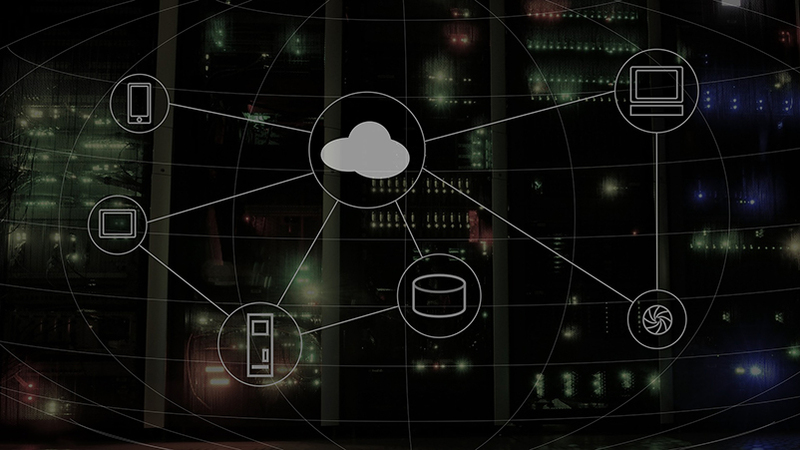 With Gateway, you can ensure that DNS provisioning in the cloud is just a seamless extension of provisioning on-premises as opposed to a separate entity. Gateway can also aggregate multiple API calls into one call, making it easier to register cloud compute power as it comes online. Cloud vendors don’t need to know the specifics of what BlueCat API to call when—the mechanism vendors use to register DNS data just needs to know where to look for Gateway. You can bypass having to expend time and effort developing a set of API calls. With Gateway, IT can provide end users with web forms through a self-service portal that allows them to request services and uses workflows to fulfill them. By automating fulfillment, IT can instantly address service requests such as device registration, provisioning, or decommissioning a server. For instance, IT might create a form that initiates a workflow to configure BlueCat Address Manager (BAM), our IP address management (IPAM) solution. IT has the option to expose this workflow as a service. If IT creates a “Get IP” service, other applications that need this service can make a single call and the service will provide the necessary IP address. In every enterprise, users continually need IP addresses to add printers, laptops, and many other devices. This requires a near-constant grind of involvement from IT. With Gateway, users can start by filling out a form with a device name and MAC address. The IP address can be automatically provisioned and—voila!—the device is set up on the network. Or, the same kind of form can be built for IT to shortcut their own work. Instead of configuring IPAM manually, IT staff can simply type in the info, hit submit, and complete device setup. Forms can be as limited as you like, containing the risk of any damage from user error. Companies must add, modify, or delete large numbers of IP addresses, host records, or other objects, which can easily consume the workload of IT administrators. Rather than manually writing scripts, you can use BlueCat’s API to create custom bulk uploads that add, modify, and delete many IP addresses and host records all at once. With the Gateway platform, APIs can easily automate those time consuming, everyday tasks so you can spend your time and your brainpower on the big things. In the event of suspicious network activity, administrators can use the BlueCat API to enrich the data stored in their asset tracking systems. The API can quickly get the IP address details, device MAC address, and other network location info needed to identify users and where they are in the enterprise. Whether it’s a suspected malware infection, denial of service attack, or other malfeasance, you can track suspicious behavior back to a specific device anywhere on your network. The ability to quickly pinpoint and lock down the source (“patient zero”) of malicious activity is the key to minimizing any harm done to your business data and applications. BlueCat’s DNS Edge also helps you mitigate threats before, during, and after they’ve made it inside your network by logging every DNS query and response for every client on the network. Integrate the BlueCat API with DHCP to track usernames logged in on computers and maintain a historical record of username assignments for legal and compliance purposes. By integrating with Active Directory, you can use the BlueCat API to log the username for every DHCP-assigned IP address. This can help you fulfill any legal requirements to maintain records of logged-on users for any given time, up to 10 years. Efficient virtualization management relies on the availability of IP addresses and DNS entries. You can integrate BAM with virtual machine (VM) management systems like Microsoft System Center and VMware vRealize Orchestrator to automate the provisioning of new VMs. For example, in a DevOps environment, you can leverage the BlueCat API to spin up thousands of VMs at a time for on-demand instances for your engineering teams. Use our API for virtual LAN (VLAN) management and access data about VLANs, networks, and IP addresses. Or use our API to find the first available VLAN ID (represented using tags) when you are creating new networks. With BlueCat’s API, you can quickly learn the properties of an IP address, such as location and VLAN ID, that may be causing problems on your network. Based on the results of an API query of user-defined fields, you can rapidly determine what to do with a questionable user or client. Managing IP addresses in Internet Protocol version 4 (IPv4) is complicated enough as it is. By using BlueCat’s API, you can drastically reduce the complexity of transitioning to its successor, IPv6. Remove the guesswork and automate the provisioning and validation of IP addresses. With a simple drop-down menu, users can easily create new IPv6 networks without the need to refer to a master list or spreadsheet containing your IPv6 address schema.